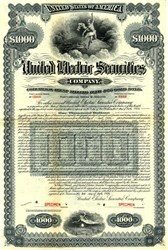 Beautiful engraved specimen certificate from the United Electric Securities dated in 1926. 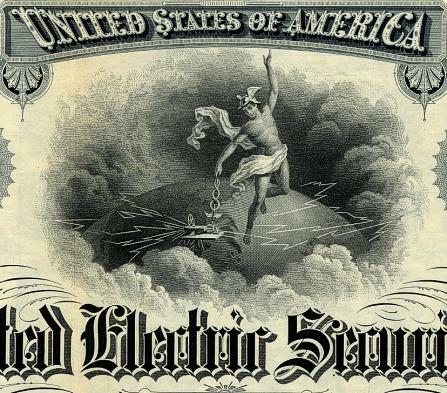 This historic document was printed by American Bank Note Company and has an ornate border around it with a vignette of Mercury on top of the world surrounded by clouds. This item is over 81 years old. United Electric Securities Company was an Power Utility investment trust of the General Electric Company.